An early Texas empresario, soldier and statesman, Sterling Clack Robertson was born on October 2, 1785, in what is now Nashville, Tennessee. There, he spent his youth. After serving in the Tennessee Militia in the campaign against the British in New Orleans, he was discharged with the rank of Major and returned to Tennessee, where he lived on a plantation in present Giles County. In March 1822, Robertson was one of seventy members of the Texas Association who asked the Mexican Government for permission to settle in Texas. They finally received a contract in 1825, known as Leftwich's Grant, and Robertson came to Texas with a party sent to explore the new territory. They left Nashville on November 21, 1825 and Robertson remained in Texas at least until August of the following year. The colonization project became known as the Nashville Company, but it was not until April 1830 that Robertson began to sign up families to move to Texas. Although he brought settlers to Texas, they were prevented from settling in the colony because of the Mexican Law of April 6, 1830, which suspended immigration to colonies that had not already been established. The land area assigned for settlement by the Nashville Company was transferred to Stephen Austin and Samuel Williams on February 25, 1831 and remained under their control until May 22, 1834. On that date Robertson obtained a contract in his own name and served as empresario of the Robertson colony until May 18, 1835 when the area covered by the Nashville Company Contract was transferred back to Austin & Williams. Robertson is credited with introducing 600 families into Texas. Meanwhile, Robertson become Captain of a Ranger company that was mustered into service on January 17, 1836. 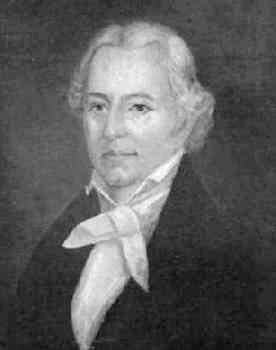 He and his nephew George C. Childress were elected as delegates to the Convention of 1836. There, along with the other delegates at the convention, Robertson signed the Texas Declaration of Independence and the Constitution of the Republic of Texas. During the Battle of San Jacinto, Robertson was stationed at nearby Harrisburg to guard equipment and supplies critical to the success of the Texas army. From the fall of 1836 until the spring of 1838 Robertson served in the senate of the First and Second Congresses of the Republic of Texas. During that time he served as either chairman or a member of several committees charged with forging the laws for the new nation. Perhaps his most important contribution was his sponsorship of the bill creating the General Land Office to oversee the distribution of Texas public lands to its settlers. Robertson retired in 1838 and devoted much of his time to the breeding of fine race horses. Then, on March 4, 1842, he died and was buried in southern Robertson County. In 1935, his remains were removed to Austin, Texas and reburied in the Texas State Cemetery.